Deloris J. 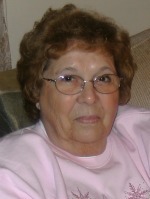 “Dee” Konecki of Otsego, Michigan, passed away Friday, September 25, 2009, at her home with her family at her bedside. Dee was born June 25, 1938, in Allegan to Arba and Zella (Wall) Sweet and was a lifelong resident of the area. She had owned and operated the Circle K Acres in Allegan, the Pioneer Bar in Otsego and the Pioneer Market at Cheshire Center. Surviving are 2 daughters, Deb (Butch) Cushman of Martin and Jean (John) Weber of Watervliet; 5 grandchildren, Katie (Travis) Cushman-Mitchell, Amy (Wayne) Schense, Robin (Jeff) Schaaf, Brenda (David Moore) Garlock and Billie-Jo Konecki; 5 great-grandchildren; a sister, Gloria (George) Jones of Allegan; and several niece. Preceding her in death were her husbands, Edward Konecki in 1999 and Bill Fairfield in 2008, her son, Billy Edward Konecki in 1988, her father, Arba Sweet in 1983, her mother, Zella Sweet in 1987, and her brother, Arba “Bud” Sweet. Graveside services at Lindsley Cemetery, Cheshire Township, will be held on Monday at 1:30 P.M., with Pastor Don Ray and Hospice Chaplain Bob Pumphrey officiating. Contributions in memory of Deloris may be made to Wings of Hope Hospice. Rev. 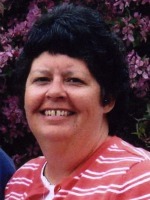 Laurence Dekema of Plainwell, MI passed away Thursday, September 24, 2009, in Kalamazoo. Rev. Dekema was born June 6, 1915, in Kalamazoo, the youngest of 10 children of John and Agnes (Stiemsma) Dekema. Larry loved to play golf, coached Little League when his children were young, had been active in the Big Brother program and served as Cubmaster for the Cub Scouts. Prior to serving in church he was employed in the printing industry working K.V.P. Paper Co. for 32 years, later Brown Company, from which he retired, and 3 years for Acme, Inc. He attended Garrott Theological Seminary in Chicago while in his 50s and retired from the ministry in 1978. He served United Methodist Churches in Lakeview, Michigan and Almy, Michigan for 8 &frac12; years retiring when he was 65 years old. On May 10, 1939 in Kalamazoo he married the former Ruth Rosset, who survives. Also surviving are four children, Marijane (David) Smith of The Woodlands, TX, David (Phyllis) Dekema of Richland, Ronald (Carlene) Dekema of Kalamazoo and Donald (Donna) Dekema of Plainwell; 10 grandchildren; 17 great-grandchildren; many nieces and nephews. Preceding him in death were his siblings, Richard, Burt, Sadie, Bertha, Alice, Kathryn, Lucille, Clara and James. In keeping with his wishes, cremation has taken place. The family will meet with friends at the United Methodist Church of Otsego on Monday from 10:00 AM until 11:00 AM when a Memorial Service will be held, Pastor Joe Shaler officiating. Burial of ashes at Hillside Cemetery, Plainwell, will take place at a later date. Contributions in memory of Larry may be made to the United Methodist Church of Otsego or Kairos Dwelling. 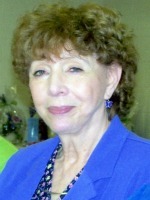 Norma J. Porter of Otsego passed away Thursday, September 24, 2009 in Kalamazoo. Norma was born in TrowbridgeTownship on November 20, 1941 to Clayton and Beatrice (Conklin) Oisten. Norma was employed by Tengam Engineering in Otsego for several years. Mrs. Porter is survived by her sons, Michael (Jackie) Porter of Plainwell and Kevin (Theresa) Porter of Jackson; 9 grandchildren, Emily, Melanie and Katie, Mindy, Amanda, Maranda, Krisi, Hosanna and Destiny; her siblings, Betty Colley, Maxine Sperry, Darlene Houseworth, Margaret Oisten, Joyce Meunier, Norman Oisten and Jerry Oisten all of Allegan. Preceding her in death were her son, Steve Porter; her siblings, Clayton Oisten, Morse Oisten, Lyle Oisten, Jean VanNess and Beverly Oisten; and a special friend Jim Vandervort. Cremation has taken place. A private committal service will take place at Mountain Home Cemetery in Otsego. Contributions in memory of Norma may be made to the American Cancer Society. Shirley A. Pierce of Zellwood, FL (formerly of Otsego) passed away Thursday, September 24, 2009, at her Michigan home, surrounded by her family, after a brief illness. She was originally from the Otsego/Allegan area but had been living in Zellwood, FL for the past 8 years. Shirley was born August 2, 1936 in Plainwell to Basil and Leora (Robar) Kershaw. As a child she lived in Florida and Michigan. For several years she worked in the banking industry, retiring in 1985 to become a fulltime homemaker and help take care of her grandchildren. Shirley loved to travel and spend time with her family and friends. Her travels took her to Alaska, the Panama Canal, the Caribbean, Aruba, Germany, Austria, Switzerland and most recently in November 2008 she went on a Mediterranean Cruise to Barcelona, Spain. She was a long time member of the Otsego Women of the Moose, where she held several offices. On September 11, 1954, in Plainwell she married her love, William “Bill” Pierce. They had three daughters, Kim Pierce of Sorrento, FL, Denise (Steven) Dedrich of Allegan and Deborah Nutter and special friend, Bob Leonard, of Alamo; 5 grandchildren, Jennifer (Rick) Nolte of Indianapolis, IN, James (Aleesha) Dedrich of Allegan, Ashleigh and Caitlin Nutter of Alamo and Brandi Leonard of Alamo; 2 great-granddaughters, Alivia Dedrich of Allegan and MaKenna Leonard of Alamo; a foreign exchange student from Finland who remains a part of the family, Suvi Lahtela; 2 sisters, Betty (Don) Ahlberg of Gun Lake, Bev (Wendall) Hughes of Apopka, FL; a brother, Sonny (Donna) Kershaw of Orlando, FL; a sister-in-law, Janet (John) Hettinger of Allegan; several nieces, nephews and cousins. Preceding her in death were her husband, Bill Pierce in 2002, her parents and her father-in-law and mother-in-law, Howard and Susie Pierce. The family will receive friends from 2 to 4 and 6 to 8 P.M. Sunday at the Winkel Funeral Home, Otsego, where funeral services will be held Monday at 11:00 A.M., Pastor Greg Carlson and the Women of the Moose officiating. Cremation will follow with burial of ashes at Mountain Home Cemetery, Otsego. Contributions in memory of Shirley may be made to Wings of Hope Hospice. Sgt. John J. Abee of Plainwell, Michigan, passed away Monday, September 21, 2009, in Kalamazoo. John was born February 22, 1956 in Detroit, Michigan to Jerry and Marie (Griffin) Abee. 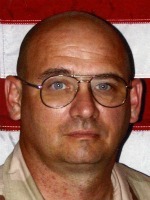 For 20 years he served as an auto mechanic in the U.S. Air Force and Army, serving in Iraq from 2003-2004. He currently was employed as an automotive technician for the Army National Guard in Wyoming, MI. In his leisure time he loved bowling, fishing and dressing up as Santa Claus. John was a wonderful husband, father, papa, son, brother, uncle and teacher, always putting others ahead of himself. On February 25, 1989 in Sheridan, WY he married Billie Weaver, who survives. Also surviving are 5 children, Kristen (Marvin) Kehrwald of Sheridan, WY, Miranda (Johnny) DeLeeuw of Kirksville, MO, Lance Rexroat of Ft. Collins, CO, Carman Merkey of Sheridan, WY and Jillian Abee of Washington, DC; 8 grandchildren; his parents, Jerry and Marie Abee of Greenbush, MI; two brothers, Tom (Mary) Abee of Garden City and Gerald (Karen) Abee of Greenbush; his mother-in-law, Margie Weaver of Sheridan, WY; several nieces and nephews; and his godson, Matthew Abee. Preceding him in death were a daughter, Genevive Abee, his father-in-law, Alvin C. ‘Jack’ Weaver, and a granddaughter, Tia DeLeeuw. In keeping with his wishes cremation has taken place. A memorial service with military honors will be held at the Army National Guard Armory, 1200 44th St. SW, Wyoming, MI on Sunday, September 27, 2009 at 2 P.M. Contributions in memory of John may be made to the American Cancer Society. Otsego where services will be held at 11:00 A.M. Tuesday with Rev. David Selleck officiating. Burial will follow at MountainHomeCemetery. Contributions in memory of Brenda may be made to a College Fund for her children or Hospice of Holland. Ruby Spencer of Kalamazoo, Michigan, passed away Thursday, September 17, 2009, in Kalamazoo. Mrs. Spencer was born March 5, 1913 in Kalamazoo County to Howard and Clarabell (Brotherton) Young. Ruby was a graduate of Otsego High School. For 17 years she worked as a volunteer with the Kalamazoo Senior Center Meal Sites, retiring when she was 90. Surviving are two sons and a daughter, Howard ‘Butch’ (Arberta) Spencer of Otsego, Carlton ‘Tom’ Spencer of Kalamazoo and Karla ‘Sis’ Lexey Spencer of Trinidad, CO; two grandchildren, Leif Spencer and Willow Ellard; six great-grandchildren; two great-great-grandchildren; a sister, Elizabeth Chase of Redford Heights, MI; several nieces. She was preceded in death by her parents, two sisters, Leona Belden and Mary Hermenitt, a brother, Howard ‘Eddie’ Young and an infant brother, Clifford L. Young. In keeping with her wishes cremation has taken place. A private family service in honor of Ruby’s life will be held at a later date. Contributions in memory of Ruby may be made to Senior Services of Kalamazoo or Rose Arbor Hospice. 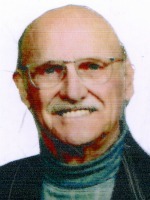 Gerald S. Belden of Allegan, Michigan, passed away Tuesday, September 15, 2009 in Allegan. He was born November 19, 1919 in MontereyTownship, the son of Harvey and Mable (Zoll) Belden. Gerald was a Navy veteran of WW II, serving in the Pacific. For 30 years he was employed with Rockwell International, retiring at age 56. He enjoyed square dancing, playing cards and helping others. On April 27, 1940, he married Kathryn (Slater) who preceded him in death in 1983. On January 12, 1985, he married Anna Golladay, who preceded him in death on May 24, 1999. Surviving are 1 daughter and 3 sons, Rodney (Janice) Belden of Allegan, Linda (Richard) Beilby of Richland, Larry (Debbie) Belden of Allegan and Dannie (Sherlene) Belden of Allegan; 13 grandchildren; 30 great-grandchildren; 4 great-great-grandchildren; 2 sisters, Bessie (Basil) Andress of Plainwell and Babe Goodwill of Plainwell; several nieces and nephews; a very good friend, Ralph Beilby. He was also preceded in death by 2 brothers and 6 sisters. Friends may meet with his family from 11 AM to 1 PM Friday at the Winkel Funeral Home, Otsego, where a service will be held at 1:00 PM, Pastor G. Patrick White officiating. Interment will be at Hudson Corners Cemetery, Allegan. Memorial contributions may be made to Hospice at Home of South Haven. Eleanoar J. Wood of Kalamazoo (formerly of Otsego) passed away Sunday, September 13, 2009, in Kalamazoo. Mrs. Wood was born July 21, 1932 in Plainwell to Louis and Thelma (Martin) Punches and was a lifelong resident of Southwest Michigan. Eleanor graduated from OtsegoHigh School. She was employed as a dental assistant, first with Dr. Raymond Malvitz and then with Dr. Yvonne Kochanczyk. Later, she was office manager for the Richard Wood State Farm Insurance office. For many years Eleanor was an active member of the Otsego Church of God, where she was a member of the choir and Sunday School. 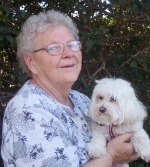 In her leisure time she was an avid reader and enjoyed sewing, baking and her dog, Max. On August 18, 1949 in Allegan she was married to Richard Wood, who survives. Also surviving are three daughters, Holly (Dennis) Swincicki of Mecosta, Kandie Wood of Parchment and Leslie (Bob) Dreger of Cooper; four grandchildren, Mike (Heather) Henderson, Elizabeth Swincicki, Katelynd Dreger and Allyson Dreger; four great-grandchildren, Jonathon, Courtney, Luke and Mathew Henderson; three sisters, Barbara (Kerry) Smalla of Otsego, Sheri Himes of Plainwell and Betty Jo ‘Jodi’ Anway of Otsego; many nieces and nephews. Preceding her in death were her parents and an infant grandson, Mathew Henderson. In keeping with her wishes cremation has taken place. A Memorial Service will be held at 11:00 A.M. Thursday at the Otsego Church of God, with Pastor Stephen J. Burrow officiating. Burial of ashes will be at Mountain Home Cemetery, Otsego. Contributions in memory of Eleanor may be made to the Otsego Church of God Roof Fund or Christian Neighbors. 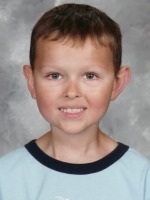 Caleb Henry Nickerson of Plainwell, Michigan, passed away Tuesday September 1, 2009. Caleb was born October 17, 2000, in Plainwell to Kevin and Cheryl (Gren) Nickerson. He had finished First Grade at Starr Elementary School, Plainwell. Caleb loved playing AYSO Soccer, animals, camping, riding his bike, holidays and most of all being with his family. He also liked girls, especially blondes, and dressing up. He was a member of the Relay for Life and enjoyed supporting others in their illnesses. Caleb never complained during his own illness. Surviving are his parents; his brother, Will; his grandparents, Marlon and Carol Gren of Gobles, William and Joyce Nickerson of Allegan; three great-grandmothers, Lois Belanger of Gobles, Etta Saupp of Bangor and Dorothy Gren of Otsego; many aunts, uncles and cousins. Preceding him in death were his great-grandparents, Henry Saupp, Arlon Gren, Ralph and Marion Baas. Friends may meet the family from 2 to 4 and 6 to 8 P.M. Friday at the Winkel Funeral Home, Otsego, where services will be held Saturday at 11:00 A.M., Funeral Celebrant Bill Rose officiating. Burial will follow at Mountain Home Cemetery, Otsego. Contributions in memory of Caleb may be made to the Kalamazoo American Cancer Society in honor of his team “Caleb’s Looney Tunes”. His family would like to thank Bronson’s Children’s Hospital, KCMS, the teachers, co-workers and Harley riders that visited and supported him.